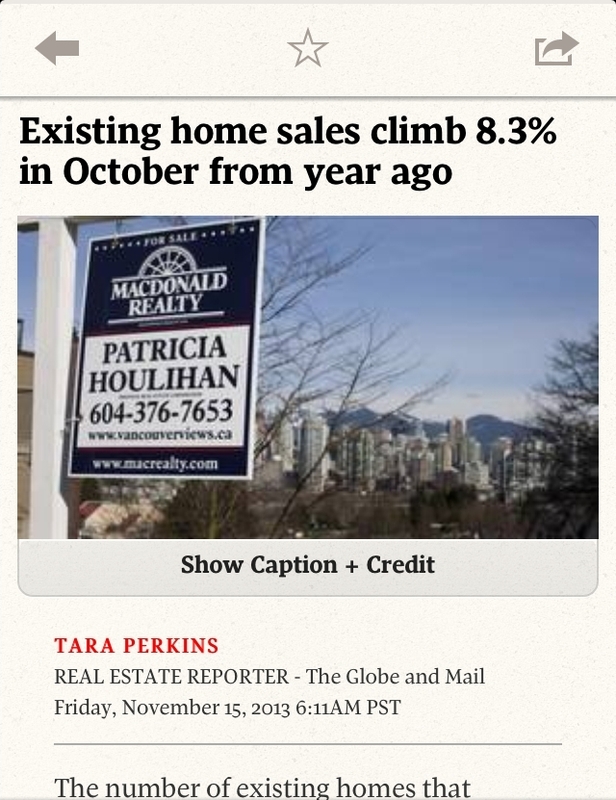 Blog: Gotta like it when Globe and Mail uses my sign for a key article! Gotta like it when Globe and Mail uses my sign for a key article! The article is not bad either.....Please let me know if you would like specifics about how this market change is playing out in various areas of Vancouver.